There are hundreds of factors that can affect your flight, from the engine’s condition to the runway being wet. Wind strength and direction, fog, ice and snow will all have a different impact on your private jet travel. 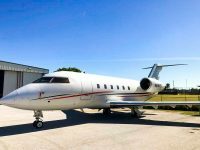 So, when is the best time for your private jet trip and when is it time to consider rescheduling? Keep reading to find out! There are no extensive issues when it comes to flying in hotter weather. Most aircraft can easily fly in extremely high temperatures, usually up to 130° degrees Fahrenheit. However, there are still some precautions a pilot should follow. In hot weather, the air is typically thinner than it is during cold weather. This affects your aircraft’s aerodynamic capabilities as well as the output of the engines. In hot conditions, the runway needs to be longer in order for the plane to take off safely. Pilots are also advised to use increase engine thrust at times like this. As far as we know, flying in hot weather is relatively safe, all you need to do is make a couple of adjustments to the runway and engine thrust. And of course it can get toasty up in the sky on a hot summer’s day, but you can always set your aircraft’s air conditioning to remedy this issue! 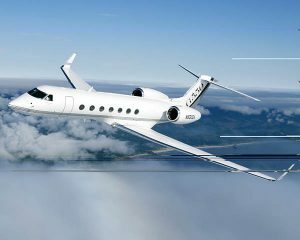 All aircraft are manufactured to withstand any kind of wind during flight. Though, if the wind is too strong – you might be facing some problems. The winds direction can affect the duration of the flight significantly. For instance, if you’re flying against strong wind, your flight time will increase. Inversely, if you’re flying with intense wind, it can help push your aircraft along, resulting in a shorter flight. You may not feel the difference if it’s a short-distance flight, but you can certainly see how it affects the flight if you get into a jet stream on a transatlantic flight. The turbulence is another issue you may have to face if the wind during the flight is too strong. All modern aircraft are built to deal with the turbulence, so it typically isn’t dangerous. Chances are, if your flight has turbulence – all you’ll experience is a little shaking or bumping. Cross winds in certain areas will affect the takeoff and make it harder for a pilot to handle the plane. Fortunately, most airports today have runways facing different directions, so the pilot can take off in the direction of the wind. This will reduce the impact of the wind and make the take off as safe as possible! Every jet can easily handle temperature as low as -150°F while flying. At 30,000 feet it’s completely normal for the weather to be this cold. Snow also doesn’t affect the plane much during the time in the air. The main issues with low temperatures usually take place on the ground. The runway should be completely clean from ice and snow in order to operate correctly and safely. The plane may need to go through the de-icing process to be able to fly without any problems. De-icing can sometimes add costs to your overall flight, since they are usually performed by the terminal crew. Private jets actually have fewer problems with takeoff and landing in the snow, because they can use smaller airports and runways that are way easier and faster to clean. The de-icing process may not even be needed if the jet was kept in a hangar prior to the flight. The rain doesn’t really have much of an effect on private jet flights. The only time it may interfere with the flight is while the plane is taxiing, landing or taking off. Private jets have different ways to deal with heavy rain. Some jets have windshield wipers installed, smaller aircraft usually uses high pressured air to blow the rain from the windshield. Some jets even take care of the rain on the manufacturing level by using a special hydrophobic coating for the windshield. Private jets are manufactured to deal with any kind of thunderstorm clouds during the flight. However, pilots are not recommended to fly through the thunderstorm because it still can be dangerous and may interfere with the flight. Your flight may even be delayed due to high possibility of a thunderstorm. Airports do not allow refueling during a thunderstorm because of the possibility of a lightning strikes. Read more: Is it safe for a plane to be hit by lightning? Fog is another weather condition that may affect the time of your flight. The flight may be delayed due to low visibility. 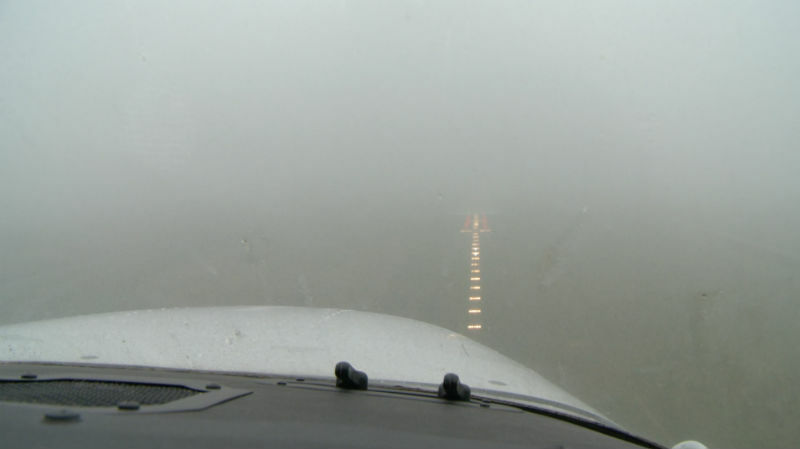 When the visibility drops to lower levels, airports will allow fewer aircraft to be on the runway at the same time. So in the end, we can see that weather does affect your flight. The good news is that private jets are built to deal with almost any kind of weather. The most important part of dealing with different weather conditions is being educated. The pilot and the crew should be fully prepared to deal with the weather during the takeoff, flight and landing. That’s why airports and planes have so many devices and services they use to predict the weather. Miami Jet hopes that all of your flights are safe, sound AND on time no matter the weather. 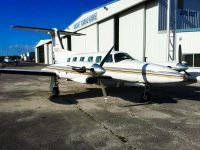 If you want to enjoy all the advantages of flying private, give us a call and we’ll tell you all about our unmatched inventory of pre-owned aircraft. If you want to sell your jet, our dedicated sales representatives will get you top dollar in the shortest possible time! Contact us today to schedule a viewing!